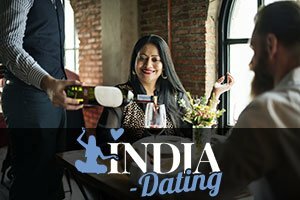 Online dating in India is spreading as fast as any other technology-fueled novelty that is sucking in an increasing number of users as we speak. The reason behind such fast development of online dating sites and apps in India is simple – they provide quick and reliable results, allowing people to meet individuals they would probably never have come across otherwise. Still, as exciting as online dating in India is, we still need to keep in mind that there are certain downsides to this type of dating. The more information we have out there the more happy clients the online dating industry will have. So today we review the top 3 problems of online dating in India to ensure everyone avoids these pitfalls and has a pleasant experience. As banal as this may seem, meeting and falling for someone outside your caste can be a serious downside to online dating. Especially in India. Most online dating sites cater to people living all over the country and their member bases are full of the most diverse individuals. To make sure you don’t find yourself in an awkward situation where you like someone your family wouldn’t approve of, stick to the sites that are frequented by the people from your caste. Doing a little bit of research will help you identify those sites, and it will set you up for success, rather than disappointment. The truth is, regardless of where you are in the world, privacy concerns are legitimate worries of anyone who leaves their private information online. Not only does it stay there forever and you get a bunch of spam all the time, but the digital footprint that we leave can be misused in more ways than imaginable. Although all users of online dating sites are advised to fill out their profiles with as much information as possible, there are still some things that we better keep to ourselves. Leaving phone numbers, home and work addresses or any such private information is in most cases unnecessary and should be avoided. When you go on a few dates with a person you like feel free to share more, but complete strangers online don’t need to know every step of your daily routine. Online dating is a fast-developing industry that covers a great number of ethnicities, education backgrounds, various lifestyles and choices, but it does favor people living in the large cities because there is simply more users in those areas. As large a country as India is, most people who are online are concentrated in the big cities so people living outside those areas are statistically less likely to meet their perfect match online as s/he might not be there yet. For now, people living in the largest cities are at an unfair advantage. However, as time goes on and more and more individuals discover the benefits of online dating, there will be more potential matches for everyone on online dating sites in India.